When government agencies hide their activities from the public, private drones can be a crucial tool for transparency and public oversight. But now, some members of Congress want to give the federal government the power to intercept and destroy private drones it considers a “threat,” with no safeguards ensuring that power isn’t abused. Even more troubling, they’re specifically aiming to give those powers to the Department of Homeland Security and the Department of Justice, two government offices notorious for their hostility to public oversight. 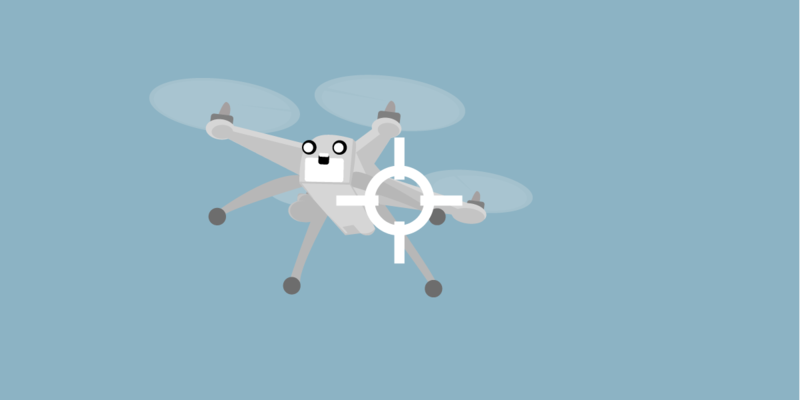 And worst of all, we expect these powers to come in a routine Federal Aviation Administration (FAA) reauthorization bill, with no chance for meaningful debate on how best to limit the government’s authority to intercept or destroy drones. Please join us in telling Congress to reject the FAA reauthorization unless these provisions are removed from it. While the language expected to appear in the FAA bill hasn’t been made public yet, a similar bill was introduced in Congress earlier this year. It would have given DHS the ability to “track,” “disrupt,” “control,” and “seize or otherwise confiscate” any drone that the government deems to be a “threat,” without a warrant or due process. It’s easy to see how language this broad and vague could be abused: DHS and DOJ could interpret it to include the power to stop journalists or private citizens from using drones to document their activities, including abuses at DHS detention facilities. The FAA reauthorization is simply not the place for these dangerous provisions. If lawmakers want to give the government the power to hack or destroy private drones, then Congress and the public should have the opportunity to debate how best to provide adequate oversight and limit those powers to protect our right to use drones for journalism, activism, and recreation.